Mice deficient for the G protein subunit Gi2α were obtained by gene targeting. They displayed a growth retardation that was apparent at 6 weeks of age. They subsequently developed diffuse colitis with clinical and histopathological features closely resembling those of ulcerative colitis in humans. Seven of 20 Gi2α-deficient mice with colitis also developed adenocarcinomas of the colon. Gi2α-deficient thymocytes displayed two-to fourfold increases in mature CD4+8− and CD4−8+ phenotypes, an approximately threefold increase in highintensity CD3 staining and enhanced proliferative responses to T-cell receptor stimuli. 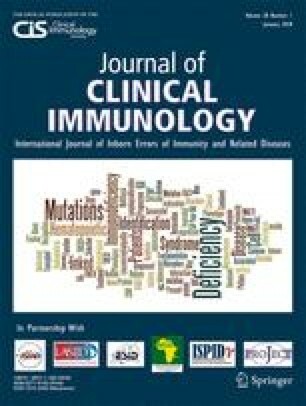 Stimulation of Gi2α-deficient peripheral T cells induced a hyperresponsive profile of interleukin-2, tumor necrosis factor, and interferon-γ production, which may reflect a heightened response of primed cells or a defective negative regulation. We suggest that Gi2α-deficient mice may represent a useful animal model for dissecting the pathomechanisms of inflammatory bowel disease and also for the development of novel therapeutic strategies.